This course is for anyone who is interested in building an amazingly cool and wirelessly controlled ArmBot. The course requires basic knowledge of Mechanical Engineering, Electronics and Python programming. If you are new to Raspberry Pi, I would recommend you to enroll in my previous course “Introduction to Raspberry Pi,” which is also available on Udemy. 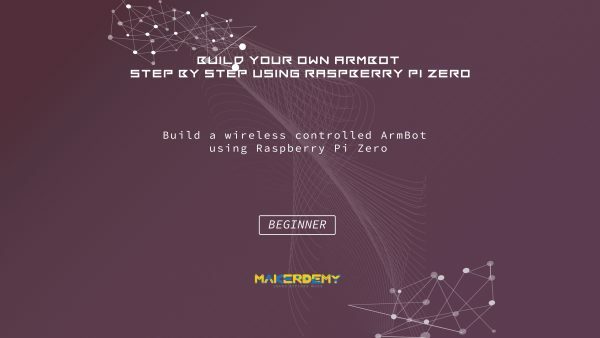 In this course, I will walk you through the steps of creating an ArmBot from the ground up. 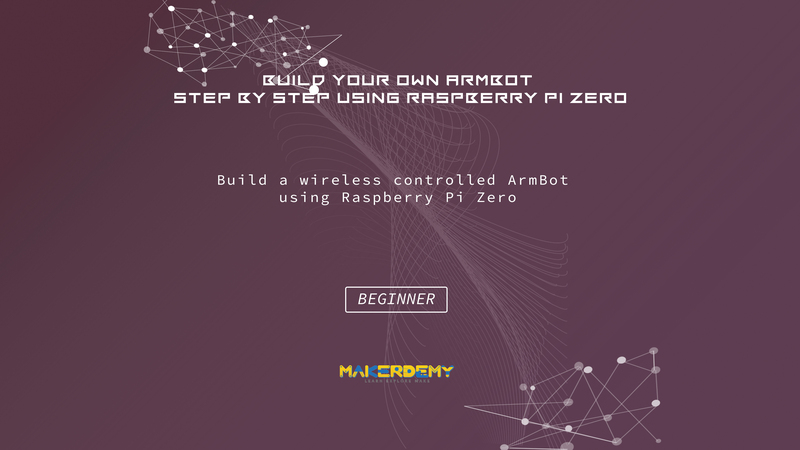 You will learn how a tiny device like the Raspberry Pi Zero can be used to build a fully functional robot which can be controlled wirelessly. I will also introduce you to the concept of H-bridge and how to reverse the polarity using the program. The L293D is a wonderful IC which can be programmed to control two distinct DC motors in different directions. You will learn how a simple servo motor can be used to design a complex robotic arm in the simplest way. I will also teach you the concept of degrees of freedom and how to implement this in the current project. I have taken utmost care to explain robotics with minute details. By the end of this course, you will have the skills and confidence to build your own robot and program as per your requirement.